HB17-1094 clarifies Telehealth coverage for the consumer and enhances this effective form of doctor appointments. 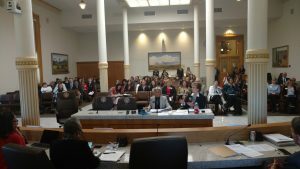 HB17-1094 passed was passed in both the House and the Senate and was signed by the Governor March 16th. HB17-1115 outlines and authorizes the practice of Direct Primary Care. Direct Primary Care is not subject to insurance. This allows doctors and patients to contract on a fee for service basis. This bill passed the Health Committee and the House Floor unanimously. We look forward to it passing in the Senate. A bill that has recently passed is HB 15-1029, also referred to as Telehealth that many people have testified on behalf of. This bill removes barriers and limits on telehealth so physicians can use this valuable tool whenever and wherever it is in the best interests of the patient. It also makes sure that telehealth visits are treated just the same as in-person doctor-patient visits for health plan deductibles, co-payments, co-insurance, durational benefit limits, and annual lifetime benefit maximums. 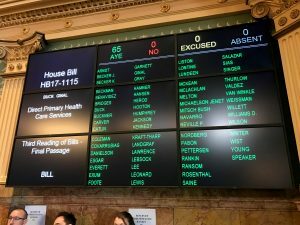 The main point to take away from this bill is that this is a way for those in Colorado to receive their healthcare in a more convenient way that fits their needs. I am truly honored to be representing House District 49 for the 2017 session. Throughout the first half of this session we have been working hard to ensure that Colorado is a great place to live. 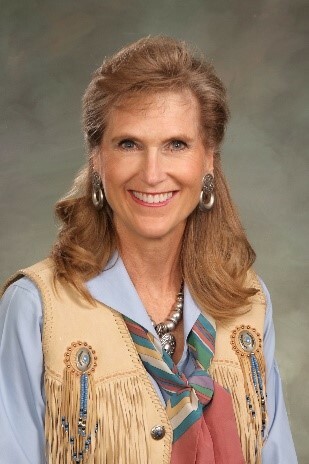 Paid for by the Committee to Elect Perry Buck • PO Box 508 • Windsor, CO 80550.